Who does not enjoy reading a good book? But instead of folding edges back to save a page, why not make a bookmark for it? 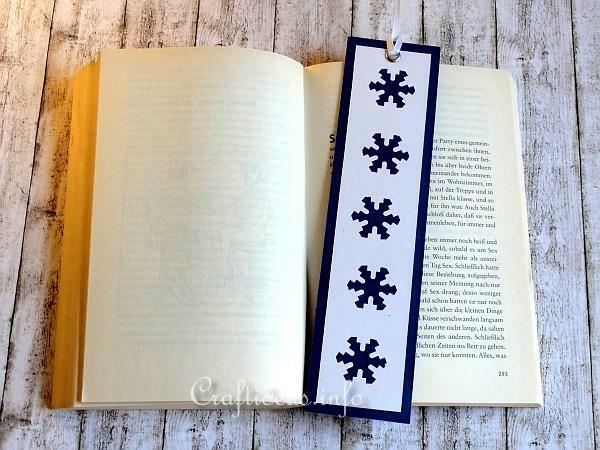 This particular bookmark is quickly made and can be designed to fit any season. These are thin enough that you can even slip one into a Christmas card of a friend or relative. If you are giving someone a book as a gift, make them one as well! 1. 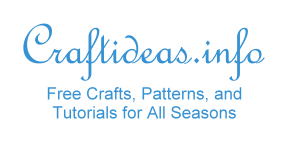 Punch large and small snowflakes out of white construction paper and arrange them onto the dark blue cardstock according to your personal taste. 2. 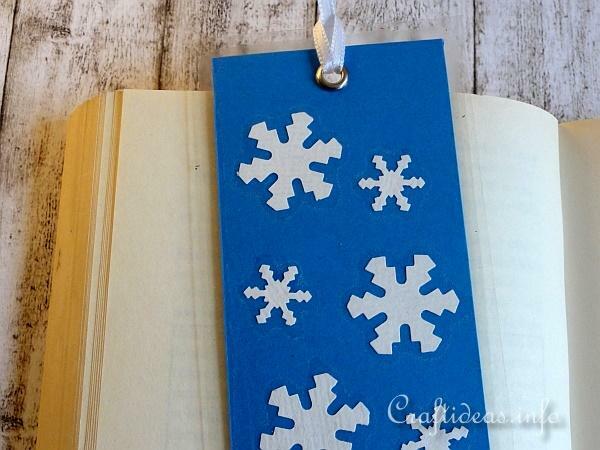 Use the stick glue to adhere the snowflakes to the cardstock. 3. 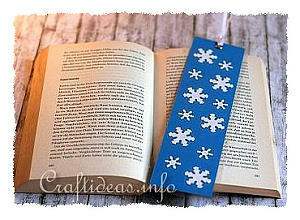 Cut out 2 pieces of the foil larger than the bookmark and stick the pieces on each side of the bookmark. Measure 5 mm around each side of the book mark and cut the rest away to leave a nice foil border. 4. Punch a hole in the top of the bookmark and insert an eyelet in the hole. 5. Secure a piece of cording through the hole. 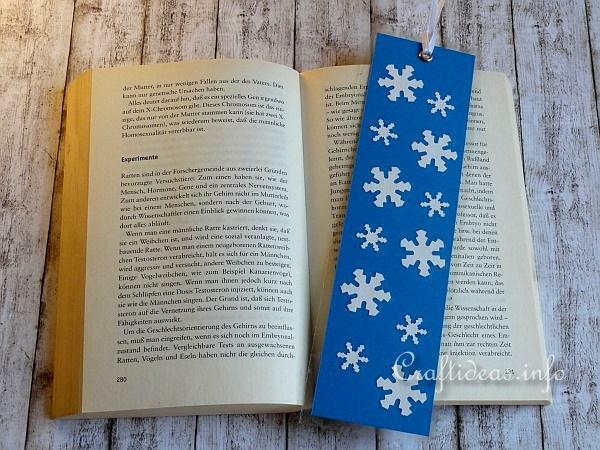 This is another example of a snowflake bookmark. One 4 x 20 centimeter strip of white paper was punched with snowflakes and then glued onto a strip of 5 x 21 centimeter blue card.